This is the third and final part of my mini series of photos on Queenscliff – a unique Victorian town where I had most of my high school education. Being surrounded by the sea it is obvious why Queenscliff has so many maritime connections. The ferries and the fishing are just two. 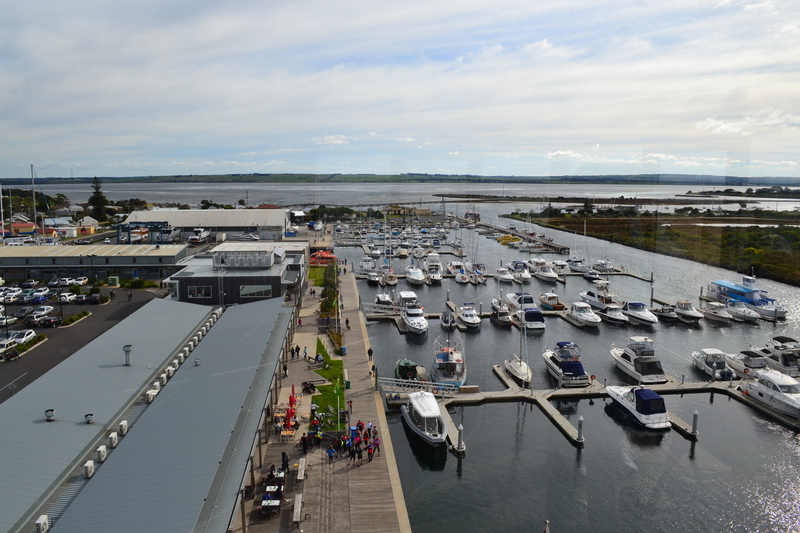 The pilot boats which service the Port Philip heads are based there, and there is a museum which celebrates its connections with the sea, as well as a Marine Discovery centre. 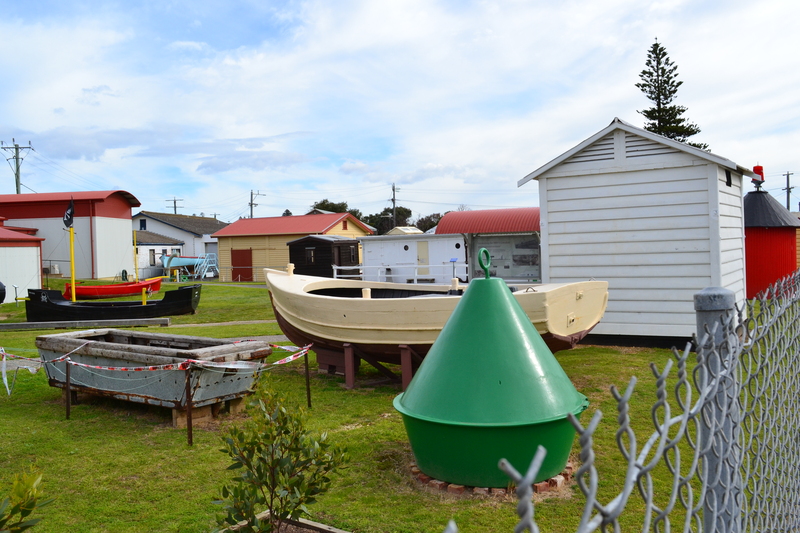 Boat building and restoration is also part of its history. Like many towns it has had to cope with the “development” of the C21st. However, from my brief visits it seems to have successfully resisted these better than most and its unique character shines through. 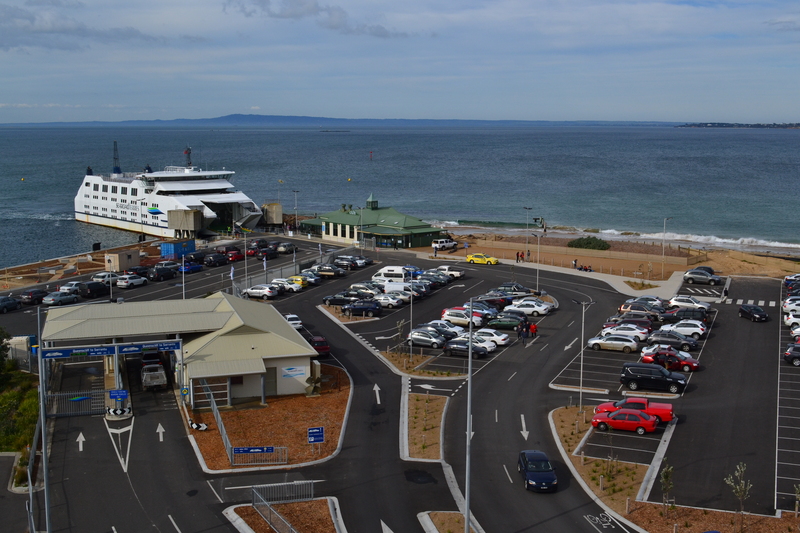 The Queenscliff-Sorrento Ferry preparing to take vehicles. One of the joys of Queenscliff is the water. It is virtually surrounded by water. 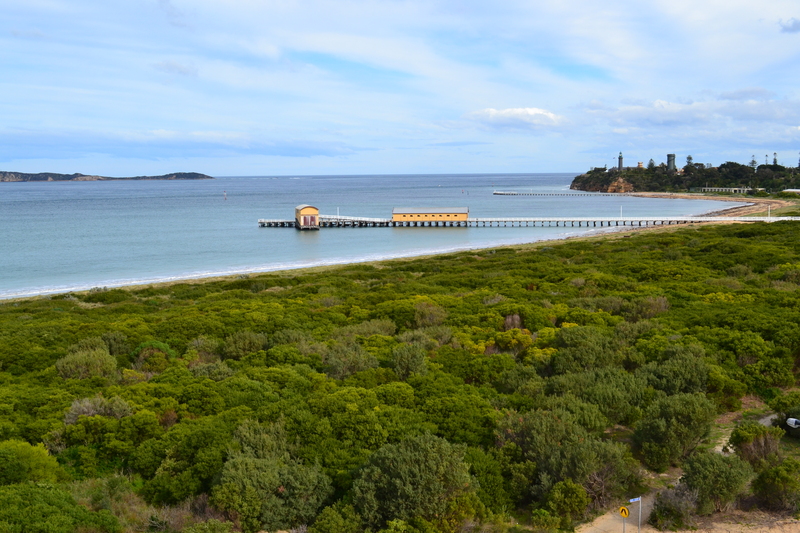 There is Swan Bay on one side and Port Philip Bay and the Port Philip Heads on the other two sides. 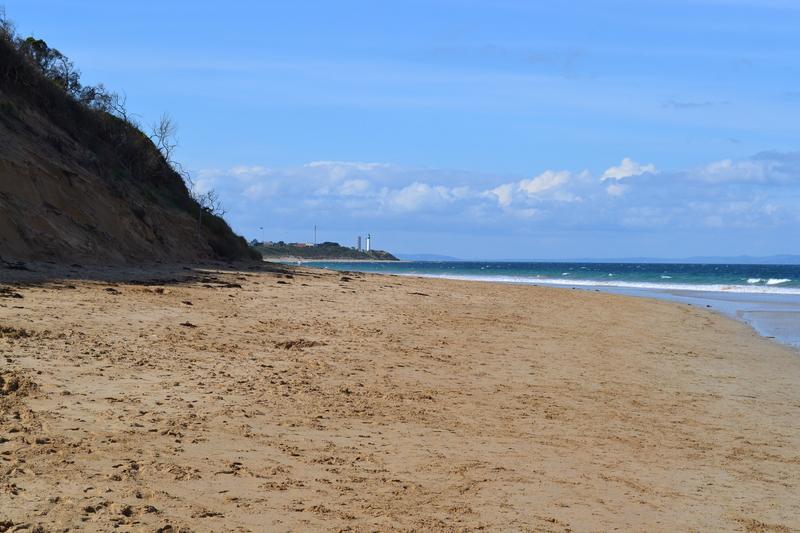 A narrow neck of land connects it with Point Lonsdale. Swan Bay is a shallow bay with extensive bird life. On the ocean side the water is deeper and rougher – particularly near the Port Philip Heads. 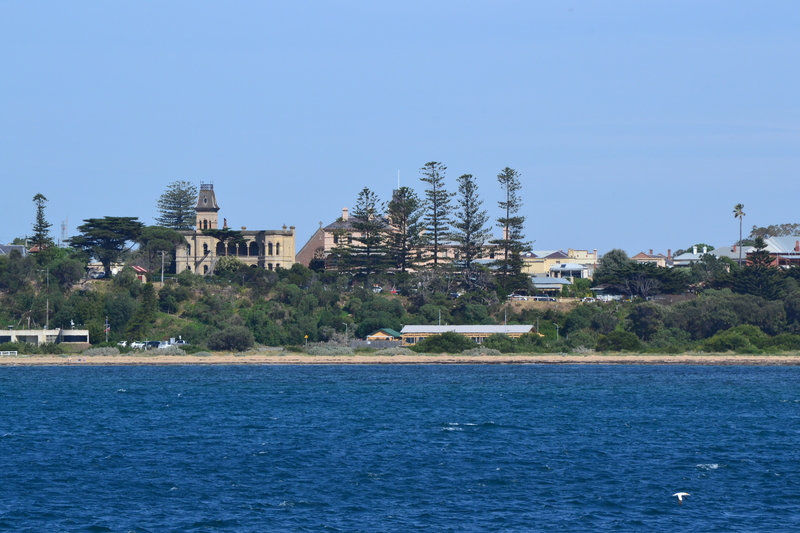 Coming into Queenscliff on the ferry is quite delightful as you see the town from another angle. In this photo we see the Black Lighthouse and the old wooden lighthouse in the grounds of the fort. 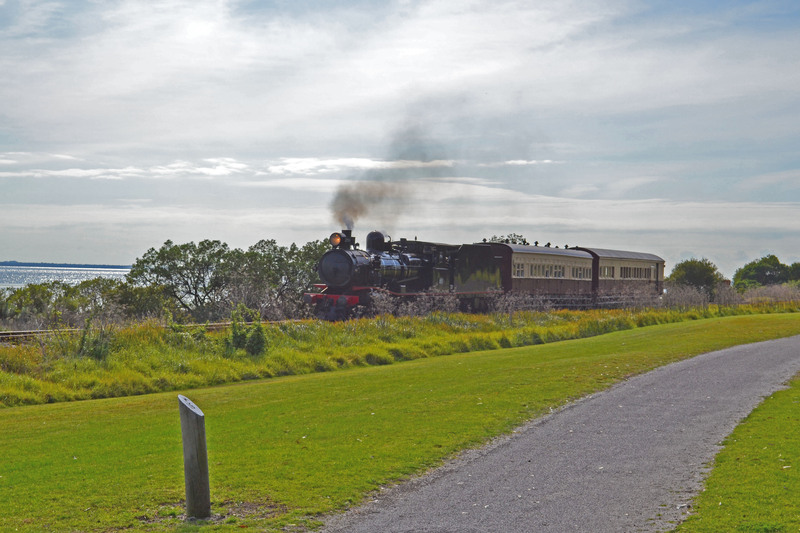 The tourist train steams past the site of the my old high school (no longer extant) with Swan Bay in the background. 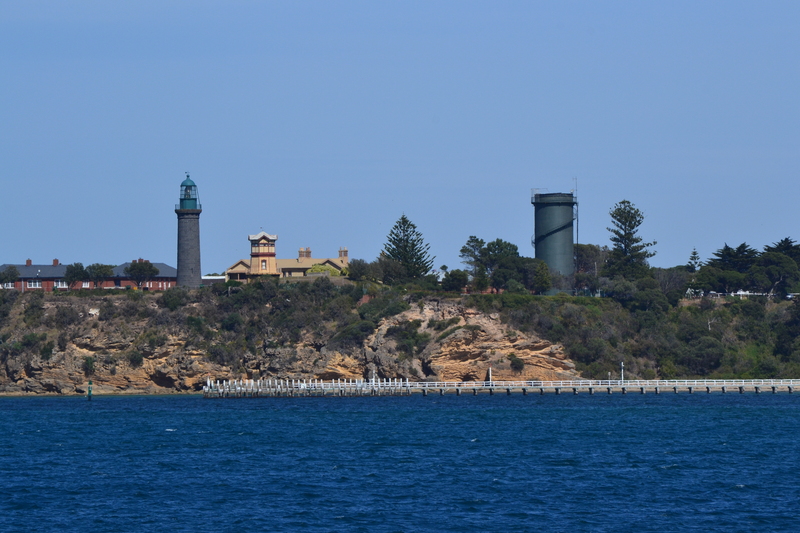 On a whim, we drove to Queenscliff yesterday. As we entered the town the first sight was the empty field where the high school once stood. Only a few parking spaces and cricket practice nets remain. But even the empty space evoked a mountain of memories of 5 years spent at the school. Every day we took a shaky old Ford bus from Ocean Grove to Queenscliff. Once a week a steam train would chug past with coal and shell grit. 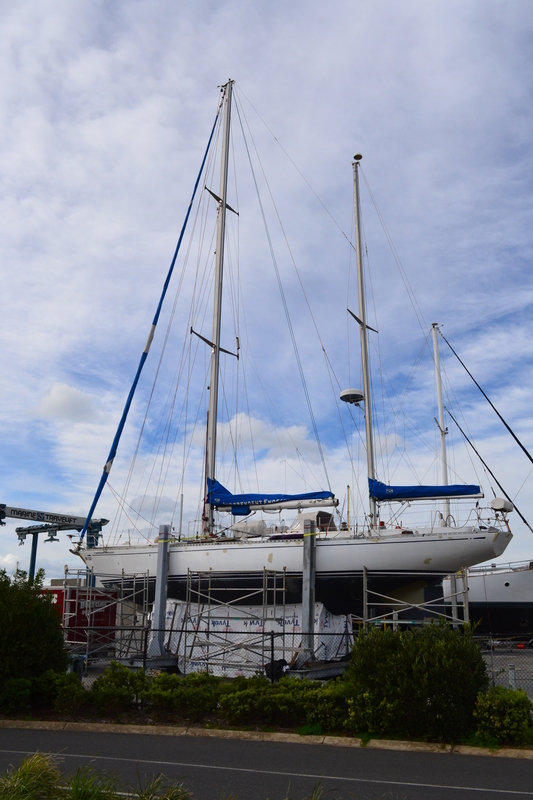 The school flag pole was multi-masted and could display a veritable united nations of flags – although it never did. And everyday we lined up on the asphalt rain, hail or shine to listen to Mr. Irwin’s instructions for the day. The names of teachers drifted through my mind: Mr and Mrs Mason, Mr Anderson, Mr Griffin, Mrs le Maistre and, of course, the redoubtable Mr. van Every. There were the young things just out of Teachers’ College that stirred a boy’s heart … and many more. There was the small sailing boat a friend and I built in the shelter shed, and marching on the oval in preparation for sports days – adjudicated by a Colonel from the army fort near by. The student body was an odd mixture. Sons and daughters of farmers, fisherman, migrants and officers from the Staff College at the fort. On the whole we got on well but my quick temper did get me into trouble on occasions. It was a simple time. You could leave school in Form 2 and work for the Post Office – Robbo did. By Form 4 a bank job was a possibility, Form 5 primary teaching and to do Form 6 we had to change schools. Finding employment wasn’t a problem. The unemployment rate was less than 2%. There was the day a thistle funnel rocketed into the ceiling powered by hydrogen gas – unexpected but spectacular. We constructed a ghost house under the staff room and had unaccompanied walks across town to the tennis courts or the fort on Wednesdays for sport. That wouldn’t be allowed today in our litigious age. Once we went to see the Longest Day at the Vue Grande and on another occasion we visited the boat builders before the launch of a small boat. I remember sitting in the sun telling my friends from form three that they were not real but figments of my imagination because I had decided that I was God. They were the years when girls took on a new meaning and confusion reigned in heart and mind. Oh yes, we learned things too. I learned that simple arithmetic was enough for me but you could never get enough of history and literature. A small few acres crowded with memories now lies quiet and forlorn waiting for “Mac mansions” to be built over it. 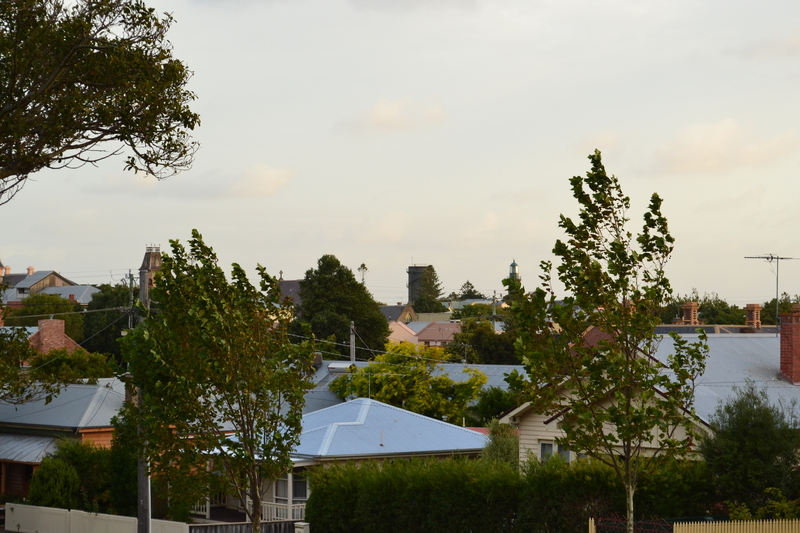 But these memories and many, many more will forever haunt this corner of Queenscliff.